Until now we are called “Schrimpfengut Simmental” but actually as from now we should be named Simmental – Charolais Schrimpfengut. 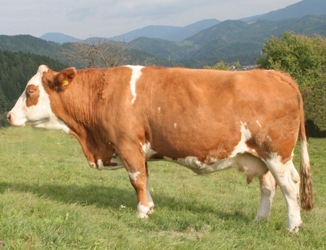 Cause in a few days a Charolais heifer from Luxemburg (Exploitation agricole) is going to arrive. She is sired by Romeo, her mother’s father is Diego. Picures will follow, but our page will remain “Simmental Schrimpfengut”- as long as Charolais is so shorthanded it will have it’s own “tag”, but that’s enough.